Photographer: Camilla Akrans. Model(s): Anja Rubik. Source: Vogue Germany. Stylist: Nicola Knels. Makeup: Violette. 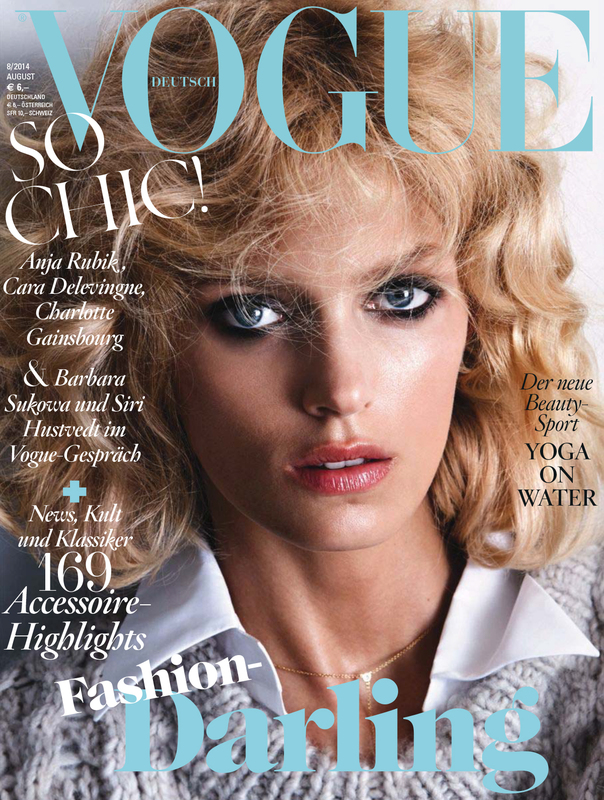 Hair: Franco Gobbi..
Anja Rubik takes a trip to celluloid history in ‘Passion’ a story shot by Camilla Åkrans for Vogue Germany, August 2014. Rubik enacts a version of Kim Bassinger, in this inspired reenactment of 91/2 Weeks. A dip into the world of a doppelganger, this dares to pick up right where the neo-film lets off. Showing us how to seek both pain and pleasure, this powerful portrayal plays on the cusp of self-discovery. The art of noir erupts with evocative looks that dare to go from mild to wild. 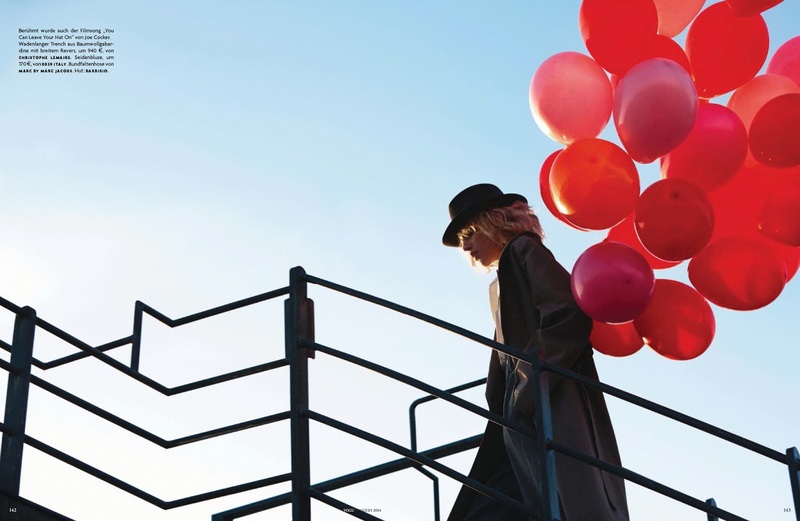 Stylist, Nicola Knels, captures the essence of the era with modern fashions by Celine, Michael Kors, Missoni, The Row, Valentino, Haider Ackermann & Marc by Marc Jacobs. Beauty beguiles, as (Makeup Artist) Violette uses the face to project passion with bold colors that empower strength. Hairstylist, Franco Gobbi, forces the waves to ride high with free flying locks inspired by the film. Lost in a world of illusion, Rubik plays the part to perfection, with the tenacity to transform & the will to go on. Cotton-Candy, Scarlet-Daydreams Cherry Flavored Wine, I'm Waiting for that Moment 'til Your Lips Meet Mine. Shot by Camilla Åkrans.